Collard greens are packed with dietary fiber, vitamin A, vitamin C, manganese, calcium and iron. A staple in Southern cooking, collard greens can be used in place of other leafy green vegetables like spinach, Swiss chard, kale or mustard greens. Fresh collard greens can be tough, and older greens may require up to 45 minutes of cooking to become tender. Canned collard greens can serve as a quick, nutritious and inexpensive substitute. Choose low-sodium brands whenever possible. 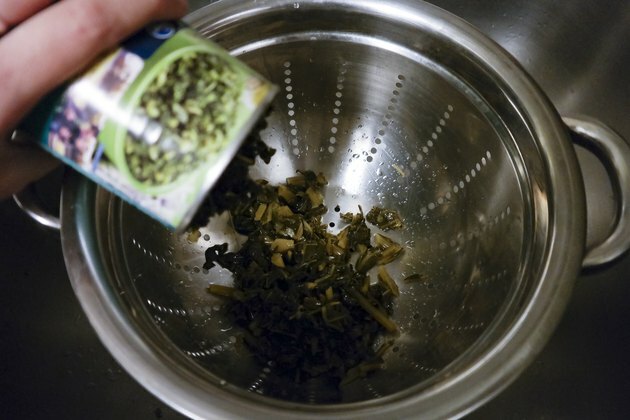 Empty the contents of canned collard greens into a colander or strainer. Rinse the greens with cool water and allow the excess liquid to drain away. 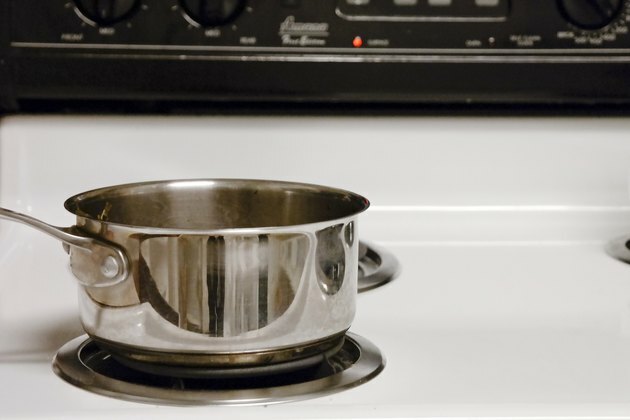 Place the drained collard greens into a saucepan. Add a small amount of water, broth or a combination, if desired. Cook on medium heat until the collard greens are hot, stirring frequently. Season the greens as desired and serve. You can prepare canned collard greens in the microwave. Put them into a microwave-safe bowl and heat them for 3 to 5 minutes on high. Try adding canned collard greens that have been rinsed and drained to stir-fries, soups, salads, pasta dishes and casseroles. 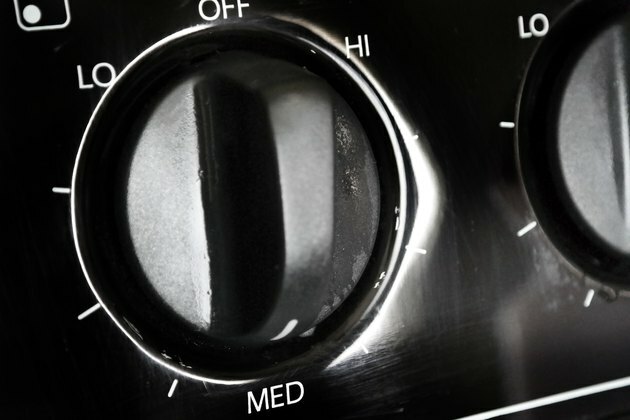 Do not skip rinsing and draining the collard greens. A 1/2-cup serving of canned collard greens can contain as much as 560 milligrams of sodium, or 24 percent of the daily maximum amount for a healthy adult. 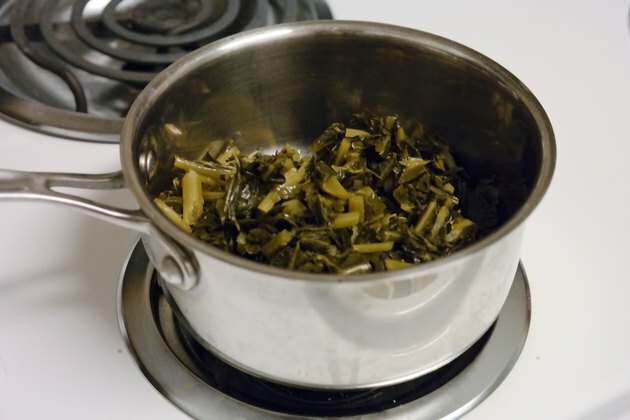 Rinsing and draining canned collard greens can lower the sodium content per serving by as much as 23 percent, reports the SunSentinel website.